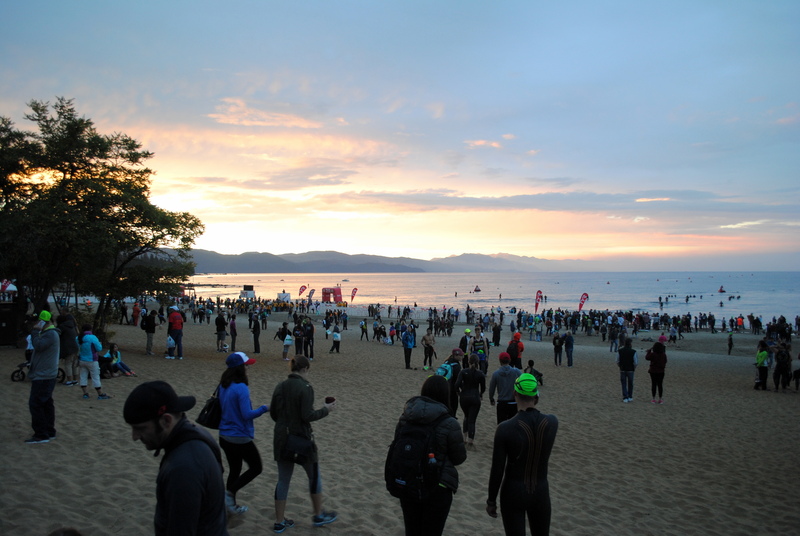 Ironman Lake Tahoe 2014 “Race Report” – Where's The Tofu? 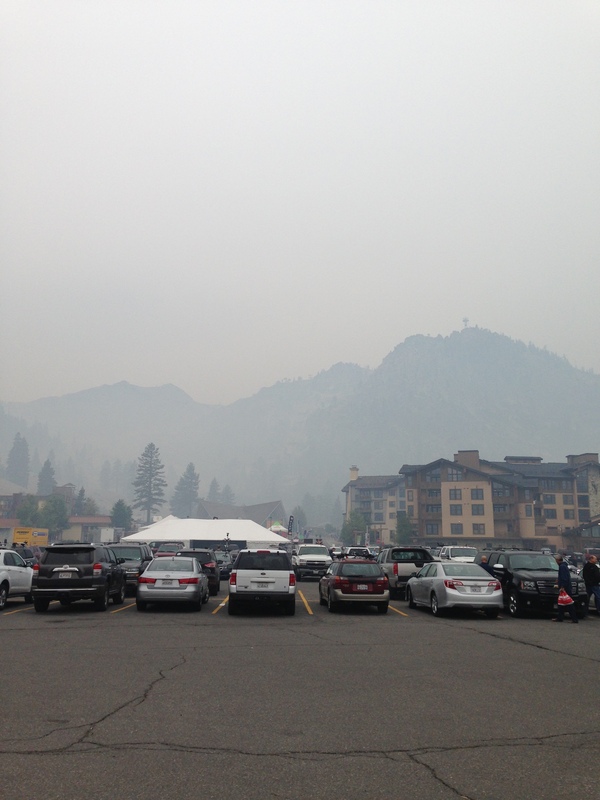 By now everyone has heard the news… Ironman Lake Tahoe 2014 was cancelled a few minutes before the start due to smoke from the nearby King Fire. It was a sad and emotional time for me but I truly am looking forward to accomplishing the goal I set out to achieve and finally becoming an Ironman. Below is a more detailed summary of the day and how I plan to move forward from here. I sprung out of bed at 3:00am ready to get this party started! My bike and gear bags were already in transition so there wasn’t a whole lot to do on race morning other than gather my thoughts and my Special Needs bags. 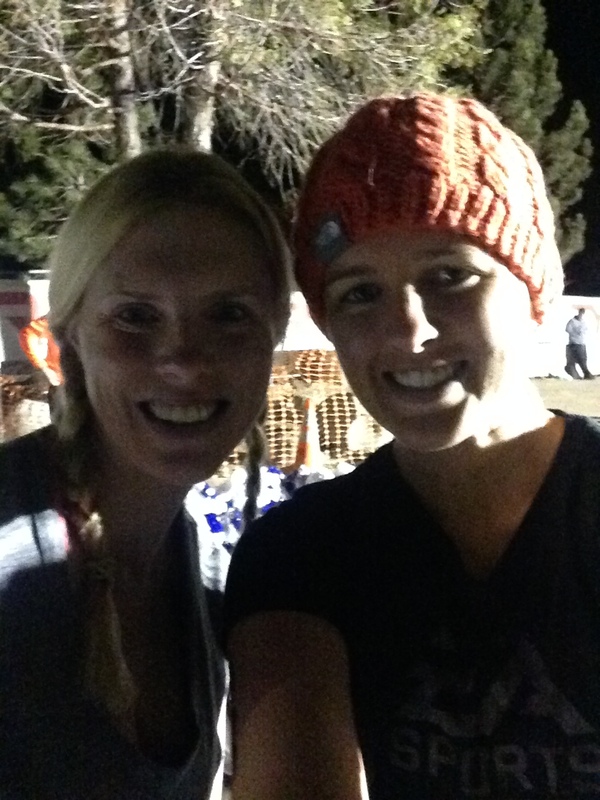 Colette, our ultra-amazing Ironman-sherpa-and-spectating-queen, drove us down to the swim start at Kings Beach. Ahhh the smell of fresh air and the feel of unusually warm weather. Saturday was a perfect, smoke-free day and it looked like Sunday was the same, at least from where we were standing (the bike and run course were apparently very smoky), so we were sure the race would go on. Sweet!! We dropped off our bags, put on our wetsuits, took some final pictures with friends and family, then made our way to the beach to get situated into our swim corral. My amazing friends from Team in Training were volunteering! I was SO happy to see them! 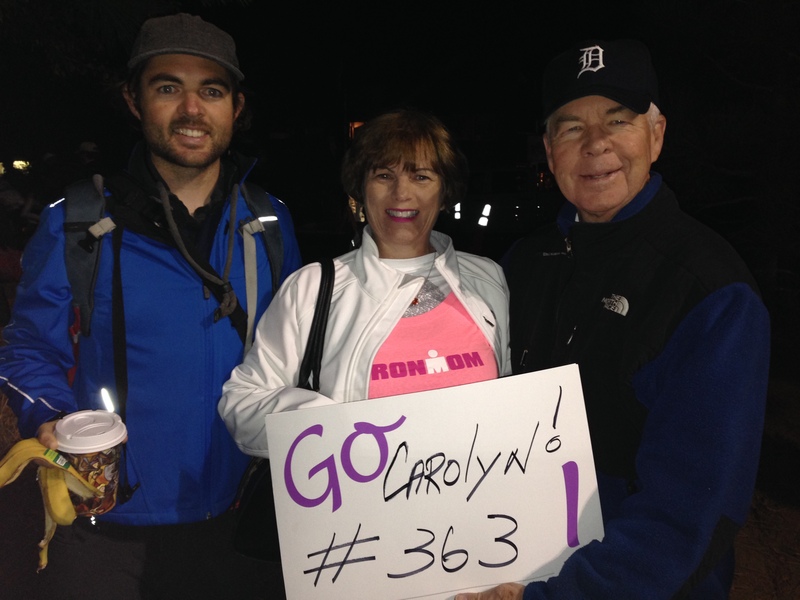 My parents and brother at 6am before the “race” began. A few minutes before the professionals were to start (~6:25am), the music stopped. Everyone got quiet and gazed toward the announcer. His intonation sounded very positive and there was no sign of smoke in the air, so I thought for sure his announcement was going to be “Good luck athletes!”. Instead, it was “…the race is cancelled…”. Please take a moment to watch the video of the speech. When I heard those words I immediately broke down into tears. I was prepared to conquer the hills, the aches and pains of the day, but I was not prepared for this. I crouched down on the beach, with my hands over my eyes, just trying to wrap my brain around the words he had just said. I was absolutely crushed that my Ironman dreams would not come true that day and all I could do was cry and grieve. All of us had worked so hard and dedicated so much time over the last year, that a cancelled race seemed like it was all for nothing. I was with my tri friends during the announcement and we just gave each other big hugs. The news was devastating to everyone around us. I saw a lot of tears. I heard shouts of anger. I saw people jumping in the water to swim anyway. And most importantly, I saw compassion and solidarity. The triathlon community is strong, especially when we band together. Strangers or friends, we’re a family. I eventually saw my parents, brothers, sister-in-law, niece and nephews near the beach and was so happy to see them. The silver lining is that I got to spend more time with them that day. After packing up my stuff and collecting my finisher’s medal we went to brunch, had a beer on the beach, put our feet up, and toured around the lake. It was a really emotional and tough day but being surrounded by such supportive family and friends made it so much better. Thank you for the hugs, everyone. Such a great group of tri friends. The view of Squaw Valley when I went to pick up my bags. Definitely smoky!! There is no doubt that cancelling the race was the right decision. The smell of smoke was unbearable when I got back to the area of the bike and run course. I could barely be outside for more than a few minutes, much less do an Ironman. Because I knew this was an uncontrollable disaster and absolutely the right call by the WTC, the emotional roller-coaster of Sunday and Monday never turned to anger or frustration. It was simply sadness. On Monday afternoon the WTC (the company that puts on the Ironman events) e-mailed all of the participants to provide various options. Option 1: register for an upcoming 2014 Ironman for $100 (limited slots, first come first served). 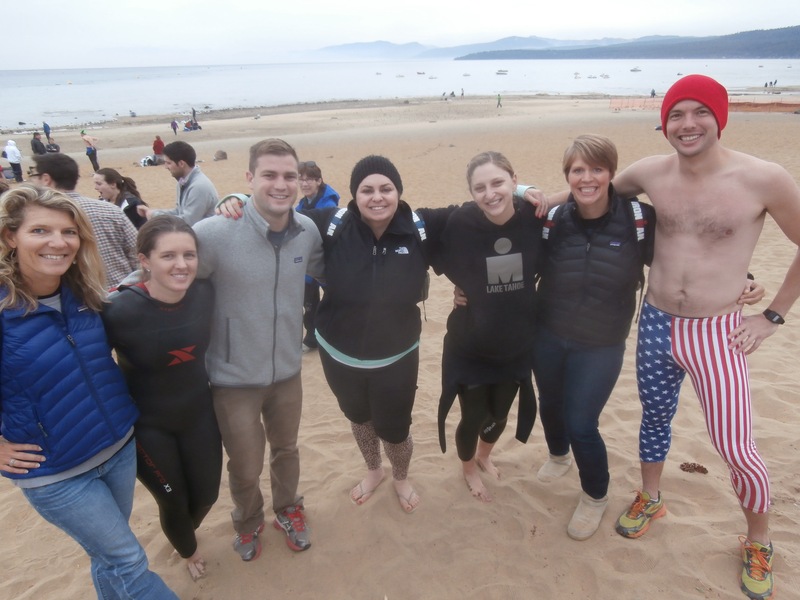 Option 2: Register for Ironman Lake Tahoe 2015 for $100 (regularly $700). Option 3: Register for a 2015 Ironman for 50% off (select races only). They also said that if you choose one of those options then you are eligible for one of the 50 Kona slots via a lottery!! Wow! Squaw also threw in a free lift ticket. I didn’t know what to do. All I knew was that my journey to Ironman was NOT done. Should I just do a self-supported “Ironman” distance in the Bay Area with friends? Should I fly to Chattanooga next weekend and use my training immediately? Should I join my GGTC friends in Cozumel over Thanksgiving? Should I try and do Arizona? Or should I just accept the fact that my Ironman dream is over and focus on the North Face 50K coming up in December? I’m happy to report that I opted for Ironman Cozumel 2014! And I’m also happy that so many other people chose this option: Kit, Chrissy, Troy, Chris M, Chris A, as well as 4 GGTC friends! It’s going to be such a blast and it will be our chance to finish what we all started. I will continue to train with Duane and Dorette from Trifiniti/GGTCand pretty much continue my same routine. But I will probably incorporate more heat acclimation and also windier destinations for my bike rides. Honestly, I think I’m still processing this whole experience. But what it has taught me so far is that life doesn’t always go as planned. But what defines you as a person is how you react to the situation. Stay positive, my friends. 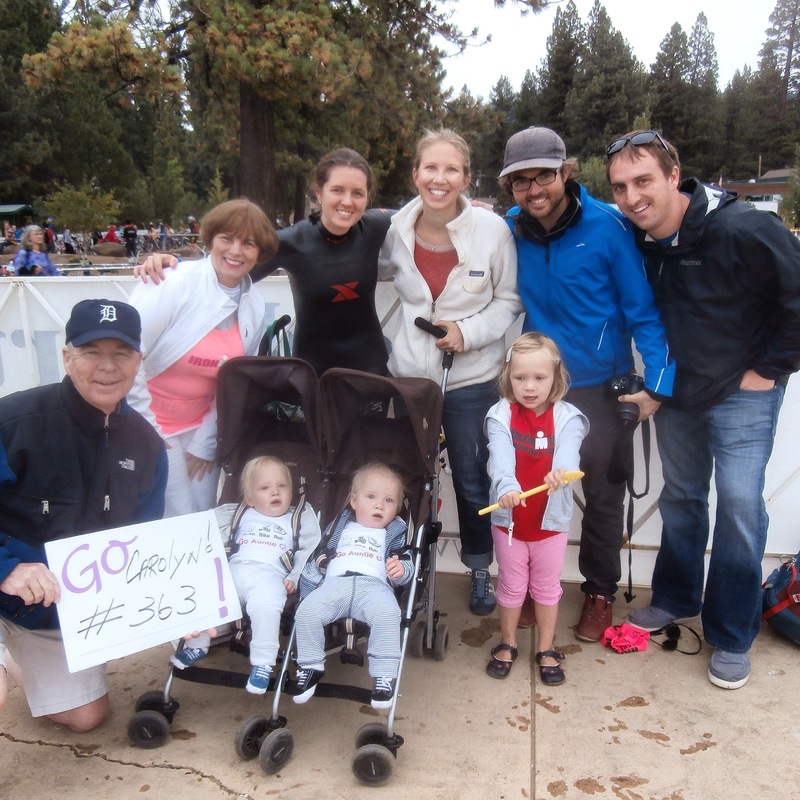 My family for traveling all the way to Tahoe from Michigan, Chicago, and the Bay Area to come cheer me on. I can’t believe how supportive and amazing my family is. Colette, Trey, Chad, Kimberly, and Sean for making signs, dressing up in fun costumes, and being the best spectating crew and sherpas on the planet. April and Anne for being there for me with your huge smiles and hugs on the beach. You girls are amazing. My coaches Dorette and Duane for getting me ready for race day. Just getting to the start line (race or not!) was a huge accomplishment. And your coaching was fabulous. I look forward to working with you guys for the next two months. Hearing the YouTube IMLT race cancelation speech still stirs emotion. It’s hard news to digest. Coaches Duane and I are proud of your conviction to move forward and continue your journey and we are especially proud to continue supporting and fine-tuning your training – we are invested in you. You are already an “Ironman” in spirit and in our eyes. All that is needed now is to put the distances together in one day and show yourself on race day that you have done it – you have reached that milestone in your life to say “I am an Ironman triathlete”. Thank you so much, Dorette! Can’t wait to hear those magic words! Pingback: Ironman Cozumel 2014 Race Report | Where's the Tofu? 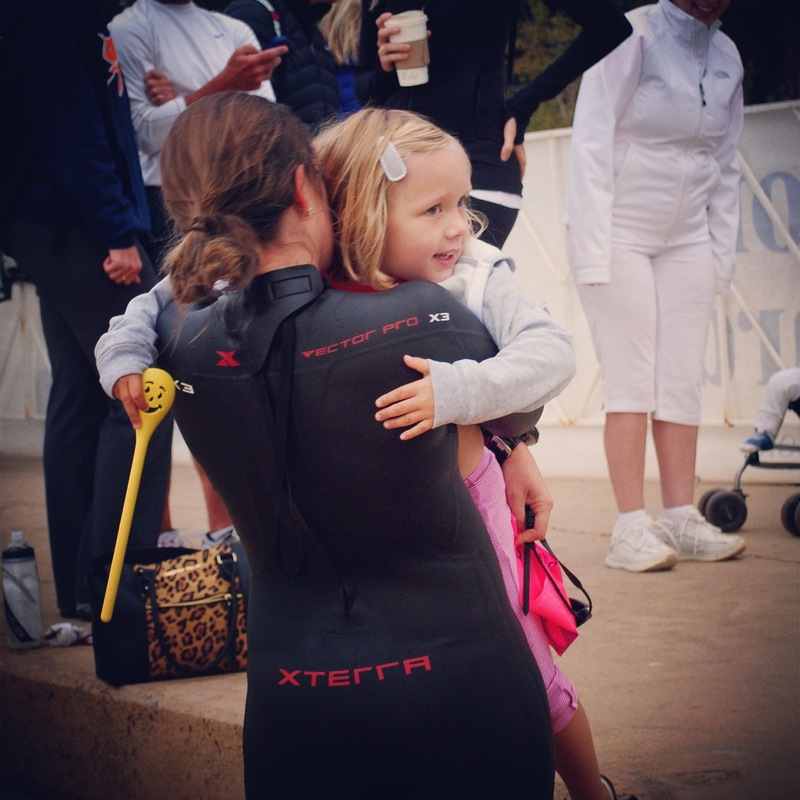 Pingback: Week 46: Pack Your Bags We’re Going to Kona!! | Where's the Tofu? 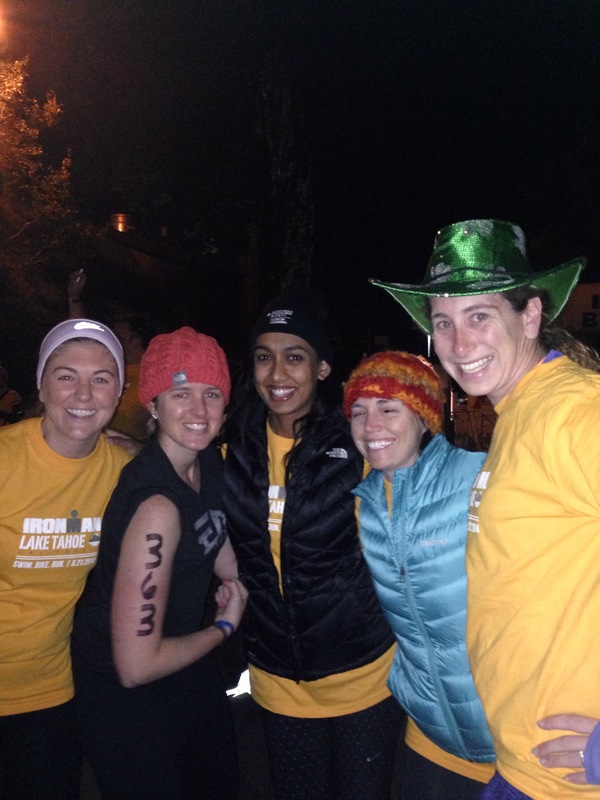 Pingback: North Face 50K Race Report – Where's the tofu?